Would you like to play a key role in an exciting new £2.8m Landscape Partnership Scheme in the Chilterns? We're seeking an experienced Ecology and Land Management Adviser and a Communications and Engagement Officer to join our team! The Spring 2019 Walking Festival will take place 18th May - 2nd June! The programme includes over 70 guided walks, events and activities covering the whole of the Area of Outstanding Natural Beauty. The Chilterns Conservation Board and Hobbs of Henley are running a series of cruises starting on Tuesday 16th April. 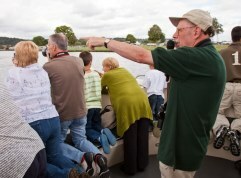 Discover the wildlife of the River Thames by boat on a 90 minute voyage from Henley-on-Thames. An expert guide will help you identify what you see. Find out the latest about our HLF-supported Chilterns Hillfort project, from our research design to volunteer opportunities and see how you can get involved! Click here. We are thrilled to announce that our Chalk, Cherries & Chairs Landscape Partnership Scheme, the largest ever conservation project in the Chilterns, has been awarded £2 million thanks to money raised by National Lottery Players! 90% of the 2 bn Ash trees across the UK are likely to be infected by Ash dieback in years to come. The Tree Council have created a useful toolkit that outlines the issues & explains the steps to take to prepare as it spreads. Our Walking Festival Programme is now LIVE! Find out about the Chilterns Conservation Board's work on planning issues and our position on developments which could have a major negative impact on the Chilterns AONB. 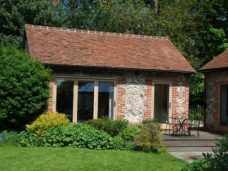 The Board has also published a wide range of detailed guidance on building, restoring and renovating properties in the Chilterns. If you'd like to get involved in caring for the Chilterns, or promoting its special character to the public, there are plenty of opportunities. Take a look at what's on offer - there's something to suit everyone! Do you own or manage a small woodland? 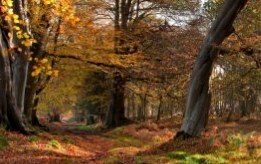 The Chiltern Woodlands Project offers help with management plans, felling advice, surveys, grant applications and much more. Director John Morris has over 30 years experience in woodland management. Sign up for our email newsletter to ensure you never miss out on news about the Chilterns area, just enter your email address below. Some beautifully-illustrated books and other publications on the Chilterns, its wildlife and special features.